A number of years ago, I stumbled upon this site loaded with Star Trek Motivation Posters. 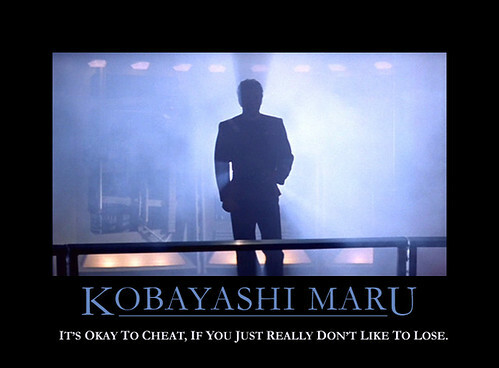 My favorite one features the Kobayashi Maru training simulation and Kirk's infamous solution to it--light years before the recent Star Trek movie. I've downloaded a bunch of these motivation images and keep them on my screensaver at work. People really get a chuckle out of them. 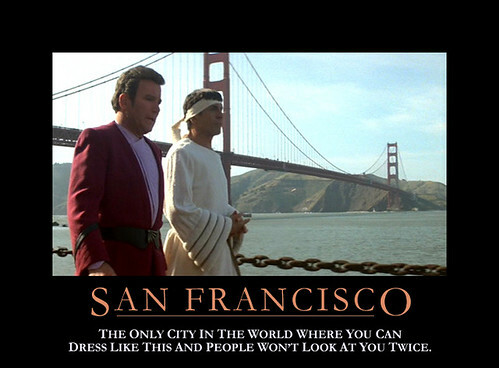 Here's another favorite featuring San Francisco and inspired by Star Trek IV: The Voyage Home. It really is true--you can wear almost anything and no one looks twice there. Nuff said.